Street skateboarding is a combination of skateboarding asphalt, steel and concrete interrupted by moments of fright, terror, and indecision. 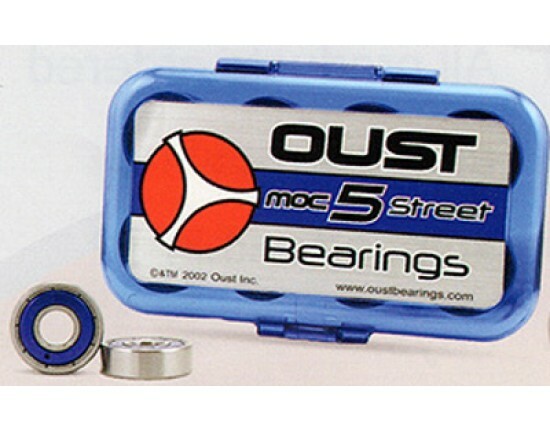 A special bearing had to be developed to accommodate a wide range of ages and styles of skating. 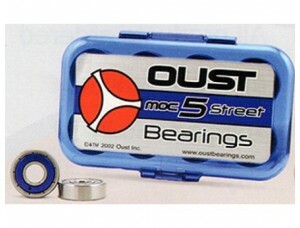 One that would hold together in any condition, without giving up speed or load capabilities of the MOC 5 Street. The metal shields replaced the buna seals to reduce the possibility of damage to the buna seal during assembly. A small oil hole ( Pat.Pend ) in each shield was put in so the bearing could be cleaned and oiled. Tolerances were changed to accommodate the new environment and the Oust MOC 5 Street was complete. 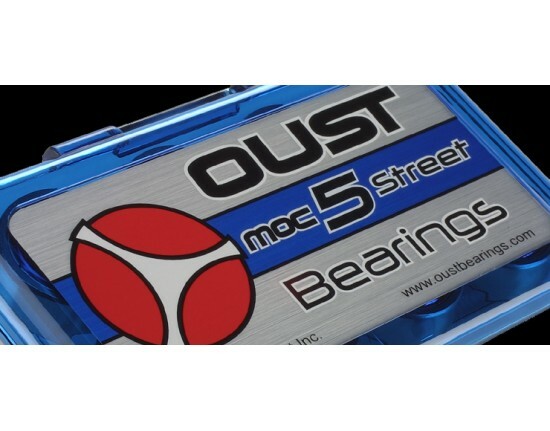 It's the fastest and toughest bearing in the industry for street.